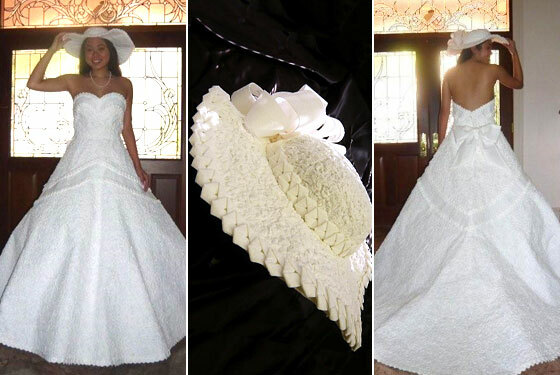 Jul 6 A Wedding Dress Made From Toilet Paper? Anna Kagawa Lee of Honolulu, Hawaii. Believe it or not this dream dress was made from nothing more than toilet paper, tape and glue. The designer says she was inspired by Gone With The Wind and Japanese origami. The craftsmanship on the gown has been compared to an Oscar de la Renta couture gown. For her effort, Lee won a $1000 cash award and a permanent spot in the Ripley's Believe It Or Not Museum. Jul 3 Happy July 4th!